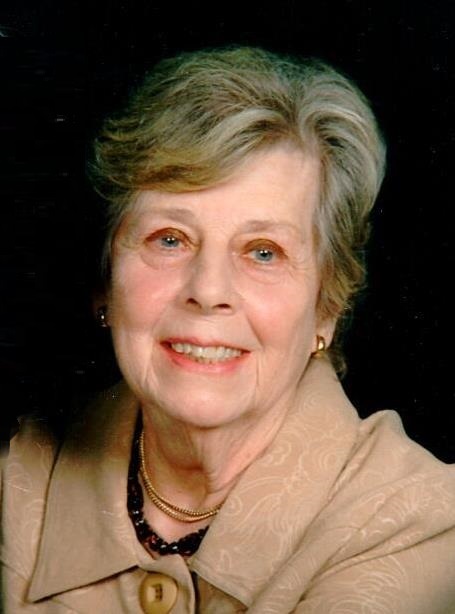 Obituary for Ada Deborah (Murray) Hartman | Laughlin Memorial Chapel, Inc.
Age 93, of Mt. Lebanon and Bethel Park, originally from Brentwood, where she was an academic scholar, Vice-President of her graduating class and May Queen, on Monday January 14, 2019.Daughter of the late Robert and Ada (Parker) Murray; beloved wife for 71 years of Foster B. Hartman; mother of Deborah Lee Fleischauer Hartman, Jennifer Ruth Pollock (David) and Foster J. Hartman; special Mum to her granddaughter Abigail Fleischauer and also loving grandmother of Dr. Lauren Hartman and Anna Hartman; sister of Ruth Dewalt and the late Earl, Robert & Thomas Murray & Jane Layman. Also survived by many nieces, nephews, cousins and numerous close friends who she considered family. She was queen of the family, proud of her English and Scottish heritage and known to all as an earth angel. Family and friends will be received at Laughlin Cremation & Funeral Tributes 222 Washington Road Mt. Lebanon on Saturday January 26 from 1-4 PM and Sunday January 27 from 2-4 & 6-8 PM. Everyone to meet at the National Cemetery of The Alleghenies 1158 Morgan Road Bridgeville, PA 15017 on Monday January 28 at 11:00 AM for the interment followed by a Memorial Service and luncheon at 1:00 PM in the Unity Presbyterian Church 1146 Greentree Road Pittsburgh, PA 15220. If desired, memorial contributions may be made to Unity Presbyterian Church.